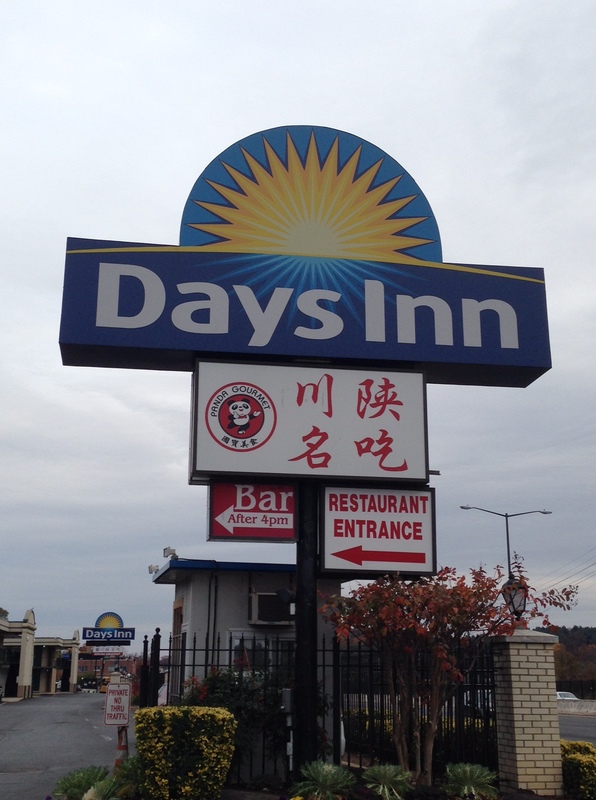 But more accurately, eating Chinese food at the Days Inn. Sounds weird. And there is no denying that Panda Gourmet is in fact a weird place. An alternate universe where you don’t really know what’s happening around you. But it’s also delicious and kind of magical in it’s own little way. After reading the Washington Post review of this hidden gem well off the beaten path in D.C., we knew it was our kind of place. The frills are minimal. If you’re looking for fine dining or some kind of Asian fusion, this place is not for you. This joint has the basics and they do them well. The outside is unimpressive. Need I remind you that it’s a Days Inn? In way NE D.C.? The decor explains itself. 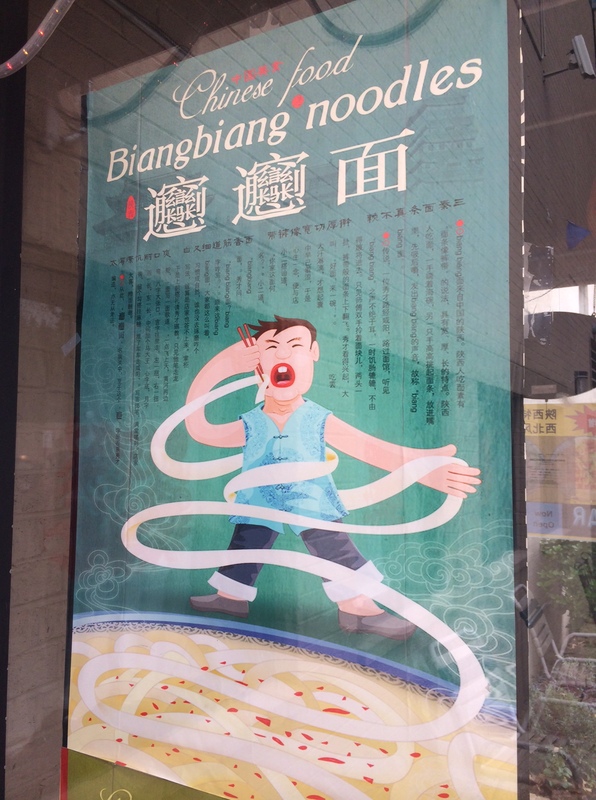 Self Portrait: Eat ALL the noodles! MM and I needed a good meal after a night of revelry. 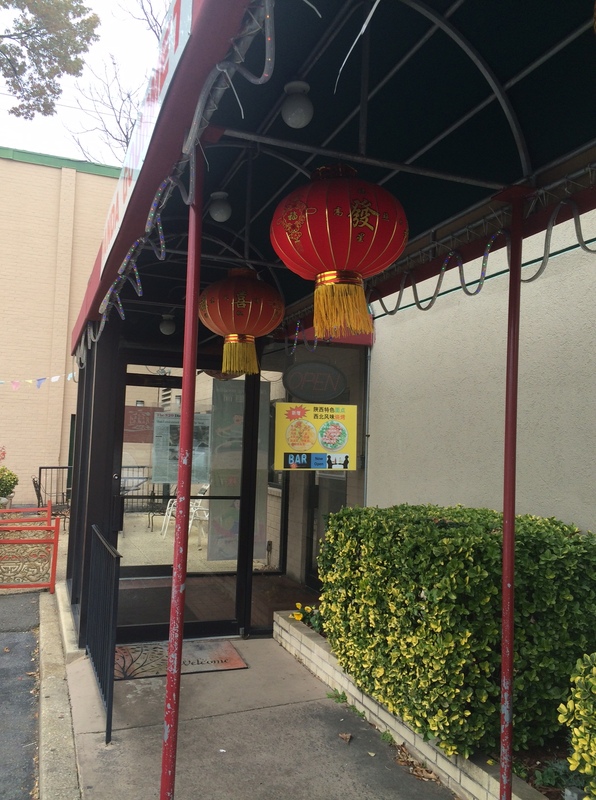 Chinese food is normally a good cure, and Panda Gourmet certainly delivered. Needless to say we were a bit ravenous. No pictures were taken of the actual food. I can’t remember what we ate. But it was a lot. Dumplings, noodles, chicken, appetizers. We pretty much sampled it all – it’s our duty to make sure you’re well-informed. It was all really good – better than most of the Chinese I’ve had in D.C.
MM was overwhelmed by all that was Panda Gourmet. 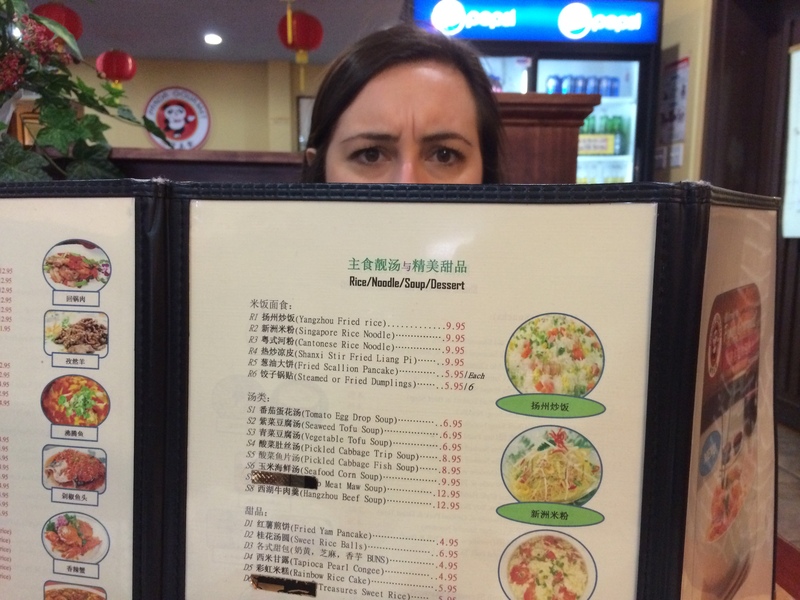 To (dim) sum it up, if you’re looking for an adventure, add Panda Gourmet to the list. Nothing beats a hot date at the Days Inn.